Burgers the size of schnauzers, but they're cattle. I finally had a chance to catch up with the very popular Miniburger truck yesterday as it came to my neck of the woods during lunch time. I had been following them on Twitter for a while, but it was never worth hopping in the car and chasing them down to wait in line for a burger. 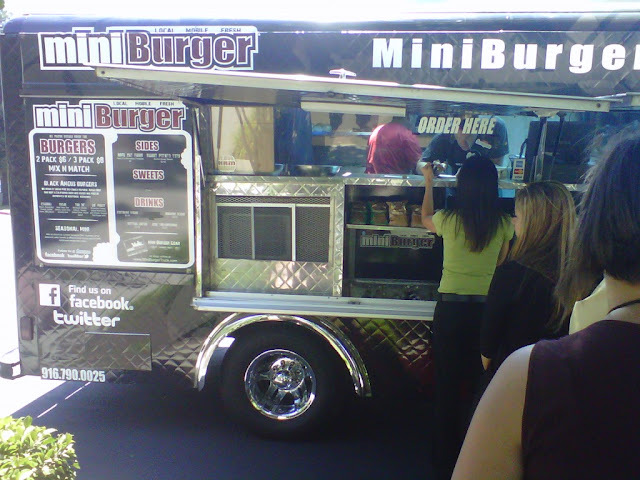 For those of you not in the know, the Miniburger truck (or is it Mini Burger? Their website is all over the place) is a food truck that hops around town serving up burgers and fries to those that follow them via Twitter, Facebook, and their website. It’s a clever concept and seems to be paying off. You can check their menu online, but I went with the Cowbell and The OG’ combo (they are mini burgers remember, you buy them in packs of two or three) and the hand-cut fries. 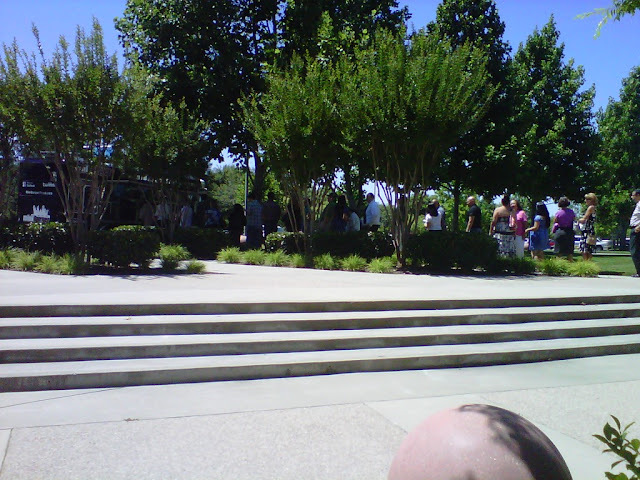 I got there within a few minutes of receiving the location tweet and was already 10th in line (this grew to 30 rather quickly). They served up the food rather quickly considering I only say three dudes working inside and one takes orders and money. 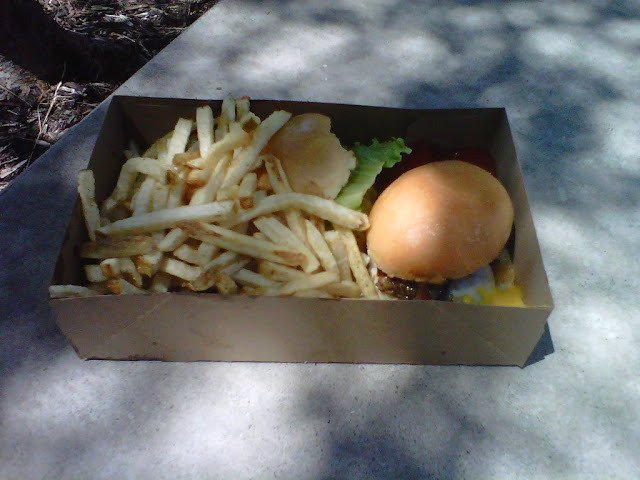 The burgers were really good while the fries were just okay. I am no sac-eats, so I can’t really dissect the subtle nuances of each, but my general opinion of the food was that is was pretty darn good. It’s a bit pricey ($8 for two minis and fries, no drink) and I am not sure I would scramble to find this truck again if it wasn’t close to me, but it’s worth checking out for sure. The Ninja seemed like a real burger risk for a first-timer. I will give it a shot on your recommendation though. Thanks for checking in.